PIERRE, S.D. (Legal Newsline) - The South Dakota Supreme Court found that a drunk driver's insurer had no responsibility to defend or indemnify her after she struck and injured several children. The unanimous court agreed with the circuit court's summary judgment ruling that held that the driver's insurance had expired 12 hours before the accident. 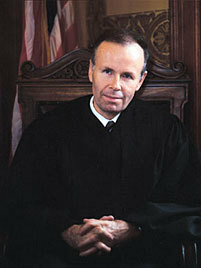 Justice John K. Konenkamp wrote the opinion filed by the court on April 17. Tamara Bradford, while intoxicated, ran into and seriously injured four children at noon on Sept. 23, 2007, according to the opinion. The children had been riding their bikes or standing alongside the road. Bradford later pled guilty to two counts of vehicular battery. Her insurer, Alpha Property and Casualty Insurance Company, contested a duty to defend her in any related negligence suit because it claimed she had allowed her insurance to expire at the time of the accident. "If payment of at least $358.03 is postmarked on or before 09/22/07, coverage will continue without interruption. If payment is not made, your policy will expire and coverage will cease at 12:01 a.m. on 09/23/07." According to Alpha, Bradford did not make the payment by the time allowed and the accident occurred approximately 12 hours after her insurance expired. "On Monday, September 24, 2007, Bradford's mother, Carolyn Willoughby, contacted Alpha and asked if she could make Bradford's premium payment. It is disputed whether this call was in fact made on September 24 and who from Alpha spoke to Willoughby. But it is undisputed that no payment was made because Willoughby was told that even with a payment the accident would not be covered," the opinion says. Alpha sought a declaratory judgment against Bradford and the guardian ad litem for the injured children, seeking that it not be required to defend or indemnify Bradford for the accident. Bradford argued at the hearing that her mother's call to the insurer on Sept. 24 should be considered an attempt to make a timely payment and she also asserted that the insurance policy was ambiguous because it did not clearly provide that Bradford's coverage existed for only one minute of Sept. 23 and not for the entire day. The court granted summary judgment to Alpha, ruling that there were no genuine issues of material fact as to whether the coverage expired at 12:01 a.m. on Sept. 23, 2007, or as to whether the insurance contract was unambiguous. Bradford appealed. "Bradford argues that because the policy did not incorporate the policy expiration date listed in her application, the terms of her insurance policy are in dispute, and she reasonably expected that in return for her initial premium payment on March 23, 2007, she would receive coverage the entire day of September 23, 2007, the last day of the policy period," Konenkamp wrote. "She turns to the doctrine of reasonable expectations, whereby courts honor an insured's reasonable expectations of insurance coverage despite the terms of the insurance contract... To date we have not adopted this doctrine." "Bradford contends, nonetheless, that coverage should be found here because the policy is ambiguous: the policy language does not explicitly state the time and date of expiration. When she applied for insurance, the application indicated that coverage would extend until 12:01 a.m. on September 23, 2007. "Alpha then issued Bradford an insurance policy document providing that any covered losses must occur during the period shown on the "Declarations." The "Declarations" noted that Bradford's policy ended at 12:01 a.m. on September 23, 2007. No ambiguity appears in these provisions. "Bradford maintains that her mother tried to remit a premium payment on September 24, 2007 to timely renew her insurance policy. Relying on SDCL 1-5-4, Bradford argues that because her policy was set to expire on Sunday, September 23, 2007, she had until the next business day to remit payment to renew her insurance policy. SDCL 1-5-4 provides in part that whenever any act of a "secular nature" is appointed by law or contract to be performed on a particular day and that day is a holiday, then the act may be performed on the "next business day with the same effect as if it had been performed upon the day appointed. "That Bradford's policy was set to expire on a Sunday does not implicate SDCL 1-5-4. To continue her coverage, Bradford was not required to act on Sunday, September 23, but rather on Saturday, September 22. By failing to accept the offer from Alpha to renew her insurance policy, Bradford's coverage expired on September 23, 2007 at 12:01 a.m., under the express and unambiguous terms of the insurance contract," Konenkamp wrote. "It is immaterial that Willoughby called on September 24, 2007 to attempt to renew Bradford's insurance policy. Coverage expired when Bradford failed to pay at least $358.03 on or before September 22, 2007."